Spotfire, a division of TIBCO Software Inc., today announced the newest version of its flagship software, TIBCO Spotfire® 2.1, to help customers and partners more easily create highly visual, interactive, and extremely fast business mashups adapted to their needs. This latest release also includes new application programming interfaces (APIs) which enable richer analytic and pervasive Business Intelligence (BI) application development. TIBCO Spotfire 2.1 also offers significant new analytic capabilities and usability enhancements that make it easier for business professionals to find new insights in any information. While consumers in a Web 2.0 world can visually explore everything from maps to music, business professionals still rely too much on cumbersome spreadsheets and static reports. The business mashup capabilities in Spotfire® 2.1 merge Web 2.0 and BI into business applications that solve specific business problems. 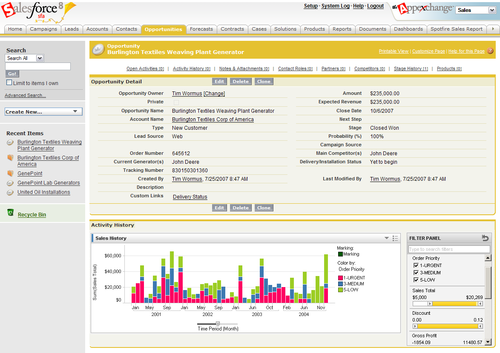 Spotfire 2.1 brings the interactive, visual nature of innovative Web 2.0 applications to enterprise users, allowing subject matter experts to leverage standard interfaces and BI data to create user experiences -- from rich analytic applications for a particular business problem to next gen dashboards and reports -- that speed insights and prompt better business decisions. This type of speed and flexibility is difficult to achieve quickly with traditional BI solutions. With Spotfire 2.1, TIBCO is releasing an enhanced set of application programming interfaces (APIs) to allow partners and customers to build analytics applications for any business process. These APIs make it easier for companies to create a seamlessly integrated user experience, by customizing the user interface and even developing new data visualizations for the TIBCO Spotfire® Web Player. Security improvements provide better integration to existing infrastructure for internal and external use over the web. 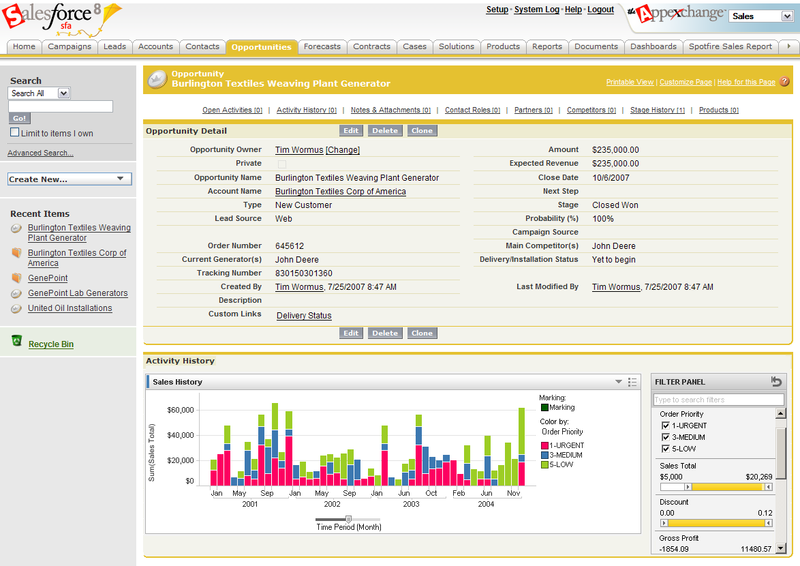 Spotfire has enhanced this version to provide deeper visual insights to business users. Spotfire 2.1 offers dynamically-drawn curve and line fits that isolate trends and patterns, allowing for interactive comparison, as well multi-scale axes that make it a snap to compare trends across disparate variables. Spotfire 2.1 enables everyone in the enterprise to benefit from the power of analytics, and with this release Spotfire is offering training for all users – from developer to business analyst to everyday business front-line user. Spotfire has expanded its training options by offering regional and on-site training, as well as expanding its comprehensive on-line offerings, including on-demand, web-based training and user communities. TIBCO, TIBCO Software, TIBCO Spotfire, TIBCO Spotfire Web Player, and Spotfire are trademarks or registered trademarks of TIBCO Software Inc. and/or its subsidiaries in the United States and/or other countries. All other product and company names and marks mentioned in this document are the property of their respective owners and are mentioned for identification purposes only. The foregoing document includes a description of certain planned future availability of TIBCO product functionality. Such description and projected timing is provided for informational purposes only and is subject to change without notice. This press release was distributed by ResponseSource Press Release Wire on behalf of Ascendant Communications in the following categories: Home & Garden, Computing & Telecoms, for more information visit https://pressreleasewire.responsesource.com/about.